We went to see Krakatau Volcano with the crew of Apud from krakatauujungkulontours. The trip was great, the activity of the volcano was very high during those 2 days. We spent the night at the camp site on Rakata Island with a great view on Anak Krakatau. It was incredible during the day, but even more so in the night. Apud’s team, led by our guide Ateng was very attentive to our needs. The showed us everything, allowing plenty of time to take pictures of the volcano from the boat. I was extremely lucky to see Krakatoa in full eruption. The view from the camping beach on Rakata was breathtaking. An all night long fire works display. Apud’s organisation of this trip was very professional. We had a little misunderstanding due to a mix up with the emails but this was resolved very quickly and professionally. The boat used was first class and fitted with life jackets. The crew were extremely competent, particularly on the return journey when the seas were a little tougher. The meal cooked for me on the beach over an open fire and camping stove was restaurant quality, and plenty to go around. The guide Sobari was informative and looked after all my needs admirably. The transfer to and from Jakarta was faultless, a very pleasant driver with a great selection of music. Thoroughly recommend this business. I can’t compliment Ateng and the guys enough as they were attentive and helpful, even when a mouse entered our tent in the middle of the night. Unfortunately, I had kept the tent’s net slightly open to let in a breeze. With due respect to nature, it was pretty hot even at night (admittedly we were on an active volcano!) but it was comforting to have the guys set up camp for us and cook us our delicious meals. So the 4/5 rating was more because of the discomfort of being out in nature and the amount of trash on the beach rather than to Apud, Ateng and the guys who were amazing. As a single parent traveling with two kids, I appreciated Ateng getting to know my kids and guiding my son in identifying trails on our 2-hr trek around Peucang Island. His thoughtfulness and kindness were truly appreciated. And I was grateful to have an extra pair of eyes on the kids when they were in the water snorkelling. 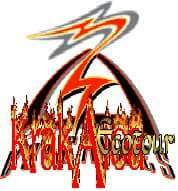 I reached Apud at +6281288463182 and info@krakatauujungkulontours.com. I did this as a day trip from Jakarta due to time constraints and while it is a long day, it was very enjoyable. I was picked up from Jakarta at 5:30 AM and after 3 hours got to Calita to meet Apud and have some delicious chicken soup and rice washed down with some coffee. The boat trip out to to the volcano is really cool and makes for some great photos. The trek to the volcano is great and although doesn’t go to the very top (which is prohibited anyway), the views are unreal, especially on the sunny day which I got. Apud (+6281288463182) is a very knowledgeable guide and after lunch we went snorkelling, where he gets in and even lets you follow him to point out some of the nice fish down there. We were 5 people and despite the fact that I got sick and opted to stay ashore my friends were full of praise for the quality and the impressions of their trip. Apud the travelguide basically took care of me personally and invited me to his house. His wife cooked a very nice meal and he was extremely helpful in overcoming my health problems. I can highly recommend him and his tour as he takes personal pride in giving the best service imaginable with somewhat limited ressources typical for Indonesia. We had a nice 4 day trip to krakatau volcano (camping) and Ujung Kulon national park with black rhino tours. Apud arranged everything. Beautiful nature, nice food and good communication with Apud. Back in 2010 me and five friends spent four days in and around Krakatau with Apud as out tour guide. We went to the Ujung Kulong national park and Krakatau volcano. The whole trip was beautifully arranged by Apud and his team, they took fantastic care of us and provided us with spectacular views and great food. Apud is the nicest guy, he even invited us in to his personal home for dinner. I cannot say enough nice things about this trip, just go! Thanks for the nice trip to Ujung kulon and krakatao. You were a superb guide and we had a great time! Bogor botanical garden,Bandung volcano[boiling eggs in tangkuban perahu,and the best volcano walk on gunung Papandayan,excellent!,native dragon viollage,yogyakarta with borobudur,[magnificient]and parambanan,Dieng and the run-over Bromoall-in-all avery iompressive tour with lot of unforgetable experiences.the tour was well organized and DipaVery attentive guide who care about their clients.All the times the experiences driverbrught us safelyfrom one site to the other.